PORT COQUITLAM, BC – Less than a month after the launch of the first craft brewery in Port Coquitlam, the city’s second brewery has announced that it is also open for business. 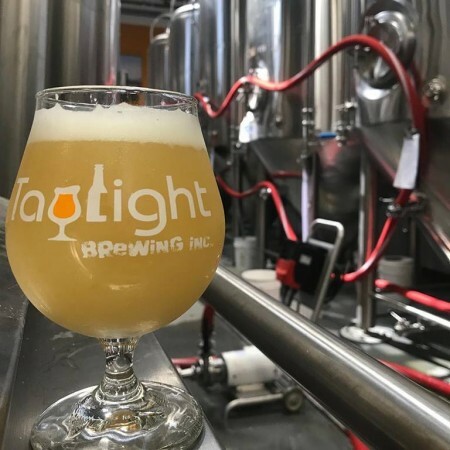 Taylight Brewing opened its taproom and growler shop last weekend, and is offering a full slate of beers that includes Big Barge Double IPA (7.2% abv, 48 IBU), Sunny Rails Peaches and Cream Sour Ale (4.5% abv, 0 IBU), Beached Barge Bitter Ale (4.2% abv, 26 IBU), 7A Bypass Lager (4.5% abv, 18 IBU), LoCo PoCo Czech Pilsner (5.0% abv, 27 IBU), Slack Tide Hazy Pale Ale (5.0% abv, 30 IBU), Rolling Stock IPA (6.5% abv, 58 IBU), and Peace Park Root Beer Milk Porter (5.5% abv, 26 IBU), plus a guest cider from West Coast Cider. Taylight Brewing is located at 402-1485 Coast Meridian Road, a short drive from the previously opened Northpaw Brew Co. For more details, see the Taylight website and Facebook page.